Last year Mick Adams and the Stones totally rocked High Street with when they shared the stage Ticket to Ride for a Beatle/Stones Tribute. Adams and the band are back in 2019. Endorsed by former Atlantic Records President, Jerry Greenberg, (The Stones Label) this band must be seen to be believed. 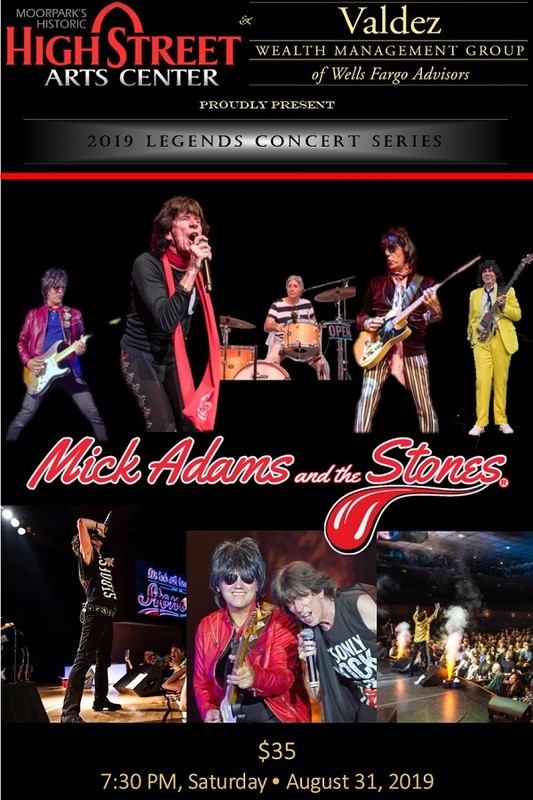 According to Jerry, “It doesn’t get any closer than this!” Performing nationwide and network television, Mick Adams and the Stones is an authentic recreation of The Rolling Stones, live in concert.